On the occasion of the closing of Terrifying Noble Splendid, a group exhibition that observes the intersection of the spiritual and technological, artist Lesley Flanigan will give a special live performance of Amplications using wooden speaker feedback instruments. Flanigan sculpts electronic music by hand, using sounds taken entirely from speaker feedback and her own voice. 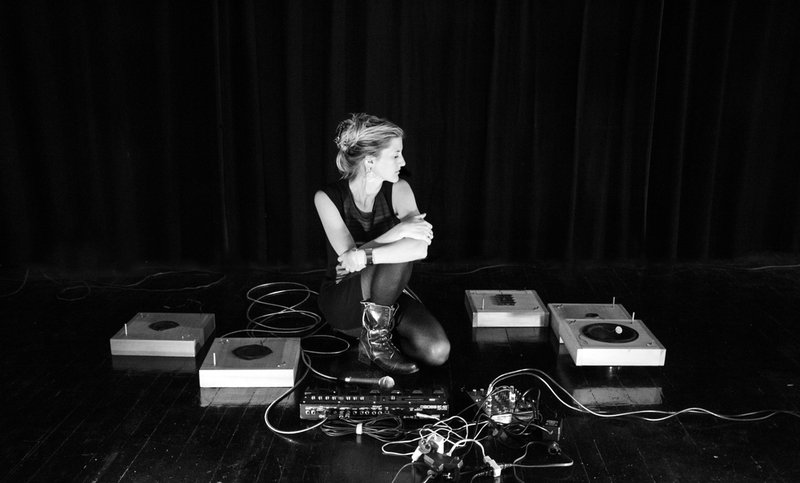 Inspired by the physicality of sound she builds her own instruments using minimal electronics, microphones and speakers. In Amplifications, she performs wooden "speaker feedback instruments", capturing electric rhythms and tones to map a strange sonic atmosphere which includes noise, the warmth of her voice, and the layered actions of amplifying. Performance begins at 7pm.